A peer-mentor, GROUP program for teenagers with special needs, held monthly, focusing on social skills, interaction and fun. 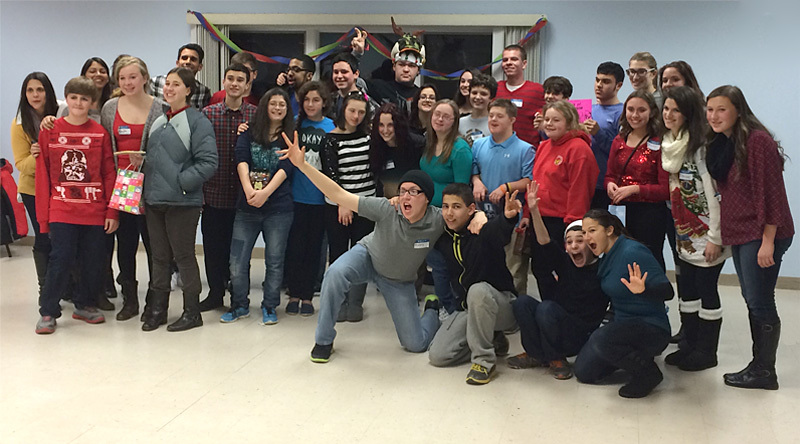 Our Teen Night program has been partially funded by a grant received by the Borough of Fanwood, NJ from the New Jersey Department of Community Affairs: Recreational Opportunities for Individuals with Disabilities (ROID) to help bring innovative, community-based recreational programs to children with special needs. The support of Mayor Mahr and the Borough of Fanwood has helped us create a model of programming that can be replicated in other municipalities throughout New Jersey. Check out the video below made by, Alexandra Jackman, our first ever peer-mentor leader of Teen Night!! Please briefly describe past attempts of participation in community activities or social events. What are one or two realistic / functional goals you would like to see your son / daughter achieve during Teen Night Out?